down with high fever again this morning at 38.6C. 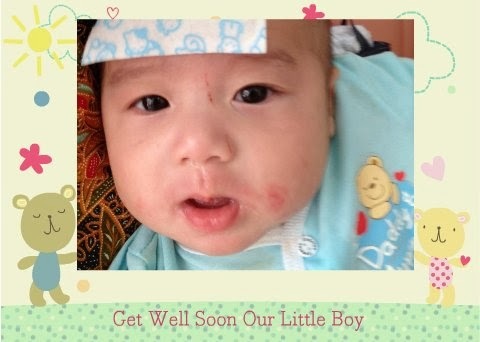 According to Dr. Yek, most probably it is due to normal virus infection and should subsided in 2 days time but if it persist, then we will have to bring little Wai boy back to see him again for further check-up. This little fella had admitted before due to persistent high fever and therefore Mommy will feel very tension as and when Wai boy's body temperature goes higher than the normal reading. Hence, Mommy really hopes that this is just a normal virus infection as told by Dr. Yek and little Wai boy will get well very soon.